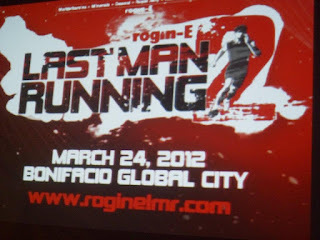 To register, you can visit www.roginelmr.com or visit Last Man Running 2 registration booths at the following venues such as Olympic Village in Trinoma, ATC, Robinsons Pioneer, Robinsons Ermita and in R.O.X. Bonifacio High Street. For walk-in participants, you can registere on the day of the event provided that you will be register at least one hour before your chosen race category will start. For LMR the gun starts is 2:00am, 10+4K will be 5:30am and the 5+2K will be 6:00am. All participants will have their own race kit that includes a singlet, timing chip, race bib and metal stub (meal can be claimed at the breafast banchetto. For the 5+2K and 10+4K Races, there will be several convergent points with LMR, particularly near the finishing stretch. Runners can stop at the 5K/10K mark but they can also take on the challenge of going futher for additional 2K or 4K. The top male and female racer who will finish the race will receive the cash prizes of P5,000 each for 5+2K race and P10,000 each for the 10+4K race. For LMR, particiapnts must check in 30 minutes before the gun start. Should submit additional requirements such as proof of participation in full marathon which is 42.195km or long within 6 months prior to LMR, medical certificate from a physician that they can participate in the competition for both LMR/LWR category. 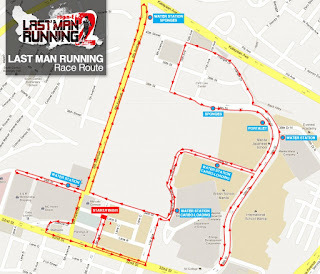 The male and female runner who will sustain the nominated pace throughout the race will be qualified. There will be a marker every 100m along the perimeter of the route. There will be handed a colored strings for every hour they successfully complete. During the run at no time the LMR runners allowed to stop, except for the following cases:: lavatory break, to hyrdrate at hydration stations, to eat at carboloading stations, sponge bath, or to fix running gear. They MUST rejoin the RUNNING GROUP and maintain the current nominated pace. Any other reason for stopping will subject the LMR contender to disqualification. LMR runners may withdraw from the race at any time during the 7-hour period. Upon withdrawal, all colored strings given during his/her participation in the run will be collected by the nearest race marshal. Likewise, all runners who were swept off by race marshals must surrender their strings. organizers and its appointed race officials reserve the right to declare any LMR contender unfit to continue with the run upon recommendation of the race medical team. There will be water aid stations every 2Kms,sports drink will be made available to runners every 5kms, carboloading stations will be available after the fifth hour and portalets will be also visible along the race route. At exactly 7 hours after gun start, all race marshals will simultaneously blow their whistles to signal the end of the endurance race. All participants of LMR who are still in competition will be assisted right away by the most proximate race marshal. His/her race bib number and exact location (from the nearest distance marker) will then be recorded and subsequently submitted to the chief race judge to determine LMR and LWR winners. Video cameras and gadgets will be on standby in case the race will be very close up to the finish line. 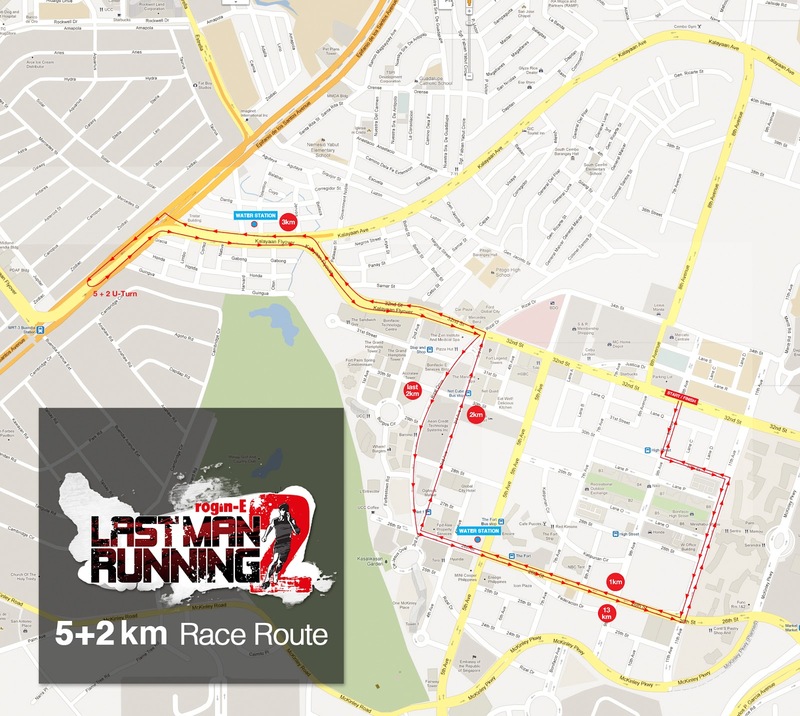 The Last Man Running will be awarded a trip to Beijing, China and entry to the Great Wall Marathon worth P150,000. 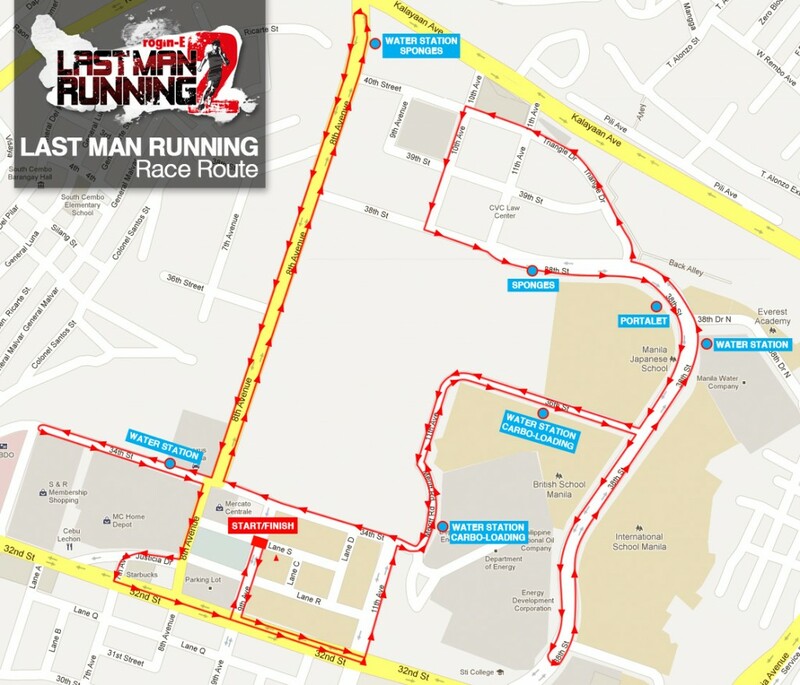 The Last Woman Running will receive a cash award of P20,000. For technical questions, email melvyn@mlbeventorganizer.com or melvynbolus@yahoo.com. You can also visit www.roginelmr.com for more info. This is a very tough endurance run. It is near my place in condo for rent salcedo village so I will be able to participate.